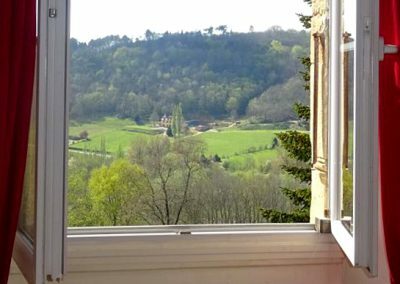 The Périgordian house? 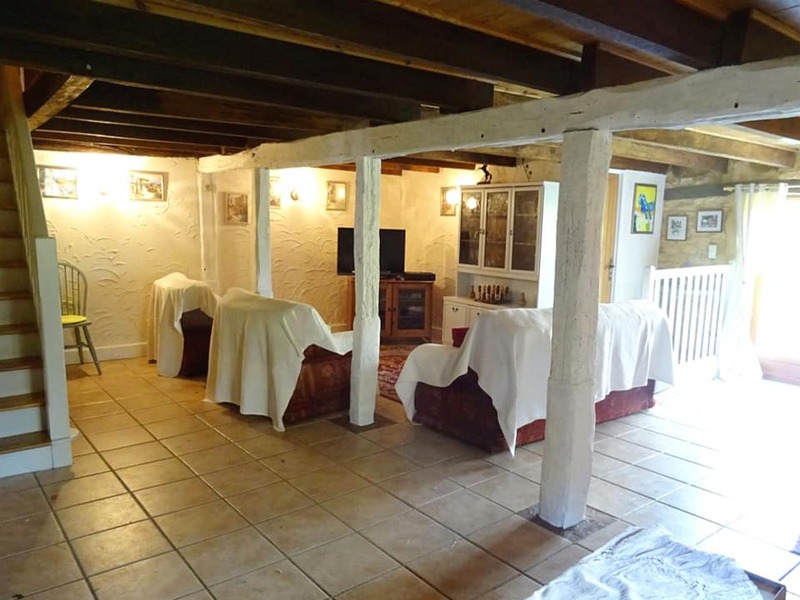 Or the 16th century barn? 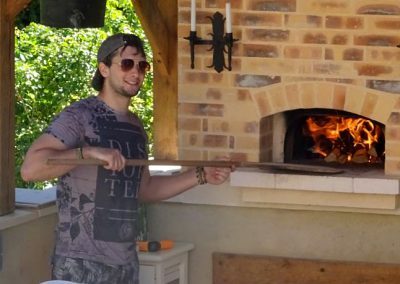 Whichever of our two family gites you choose, we know you’ll immediately feel at home, and at the same time filled with that delightful sensation of being on holiday – with oodles of space throughout the property and literally acres to explore and enjoy outside. 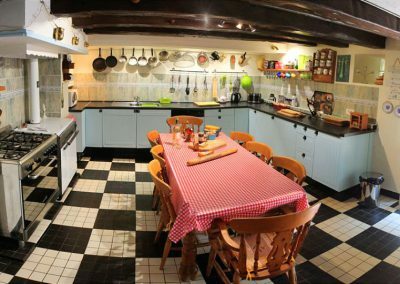 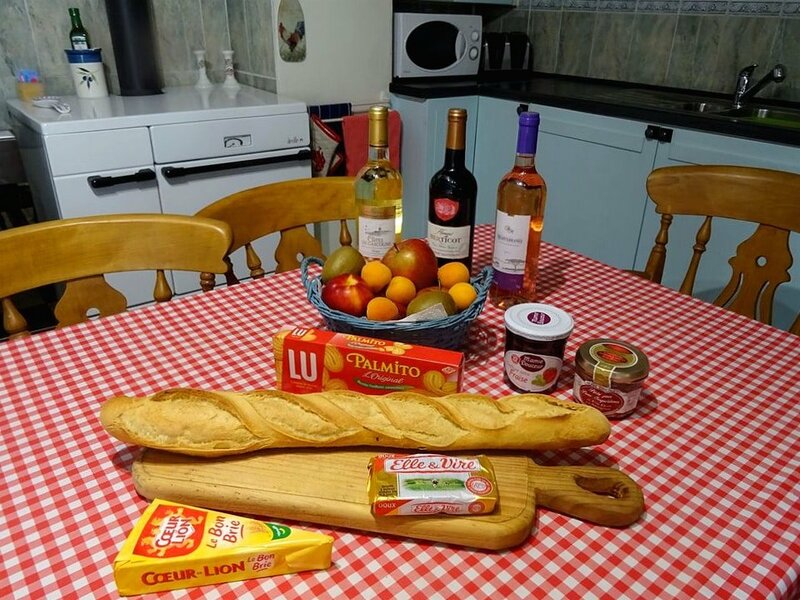 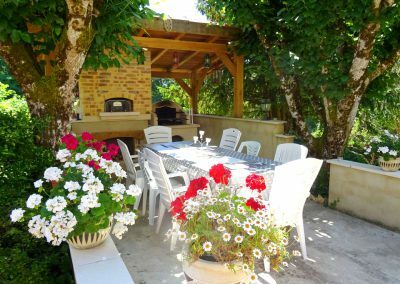 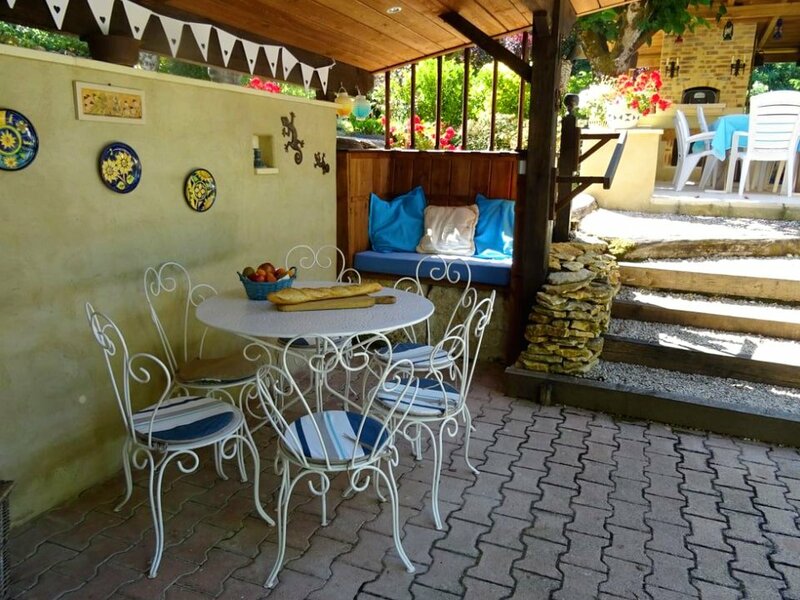 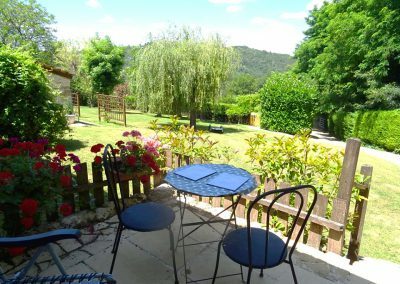 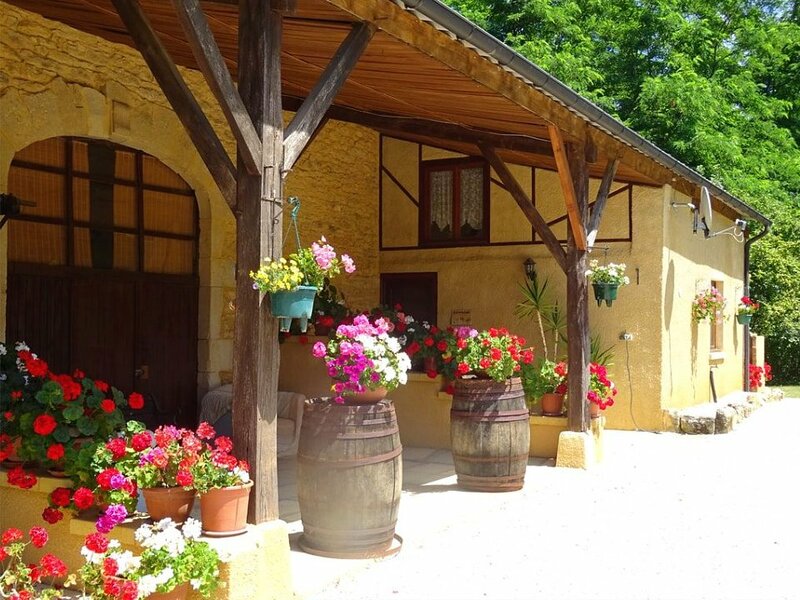 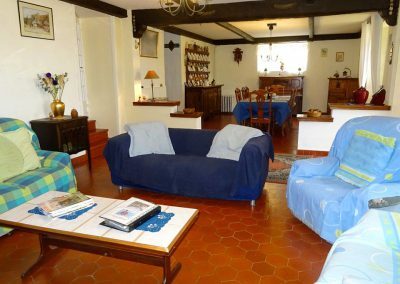 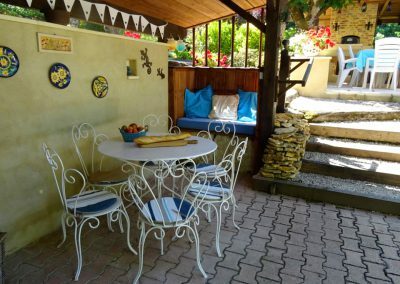 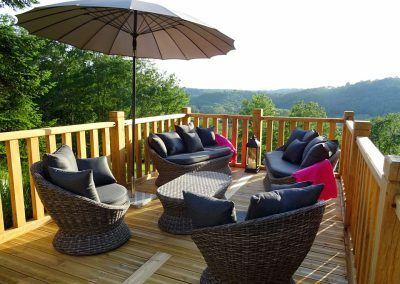 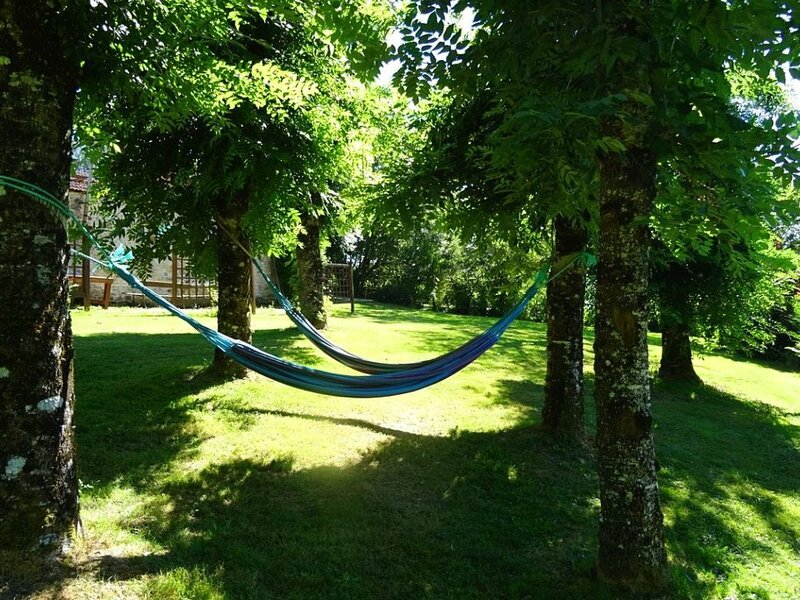 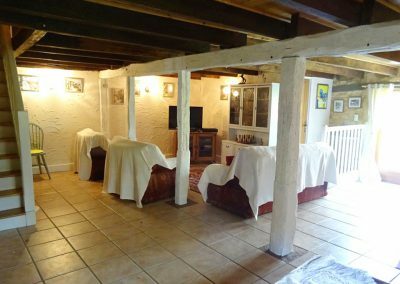 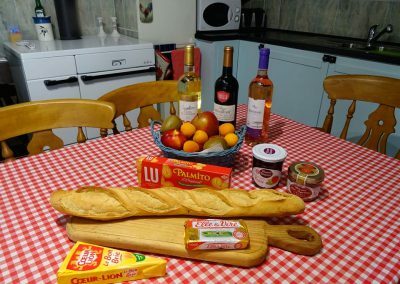 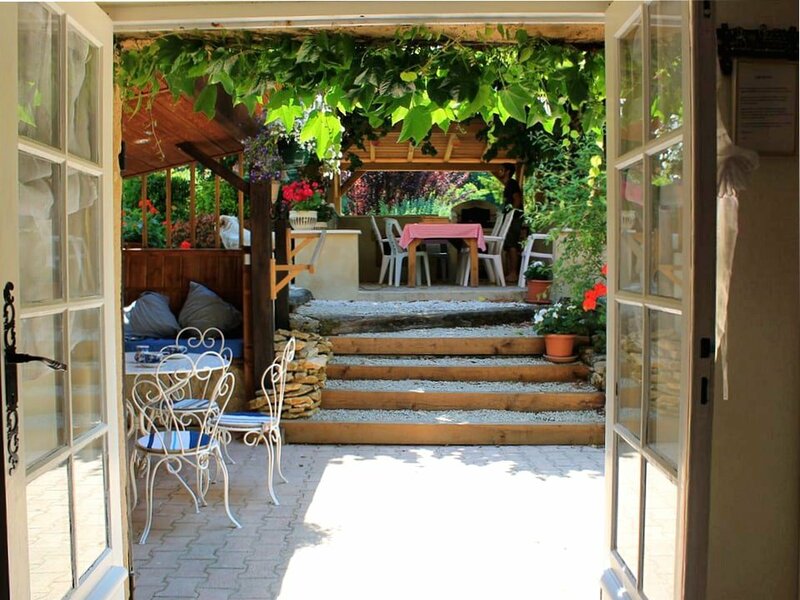 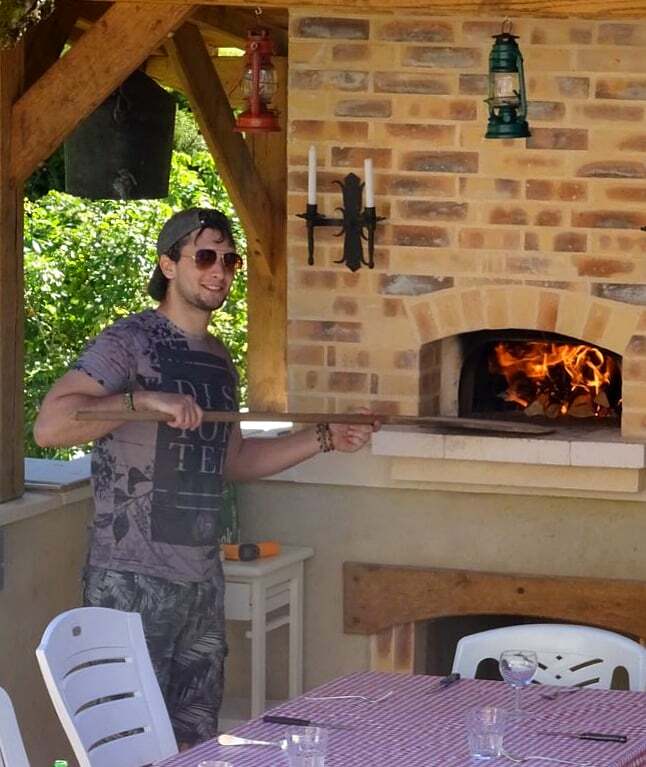 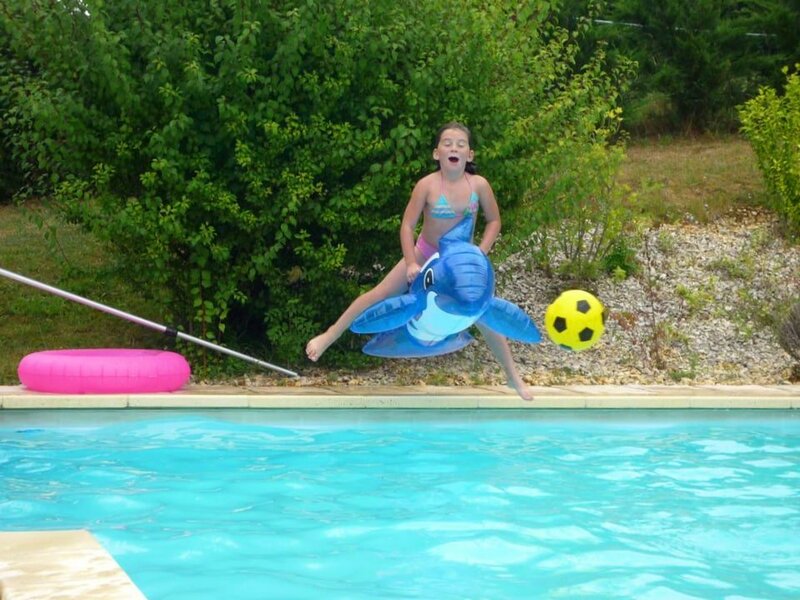 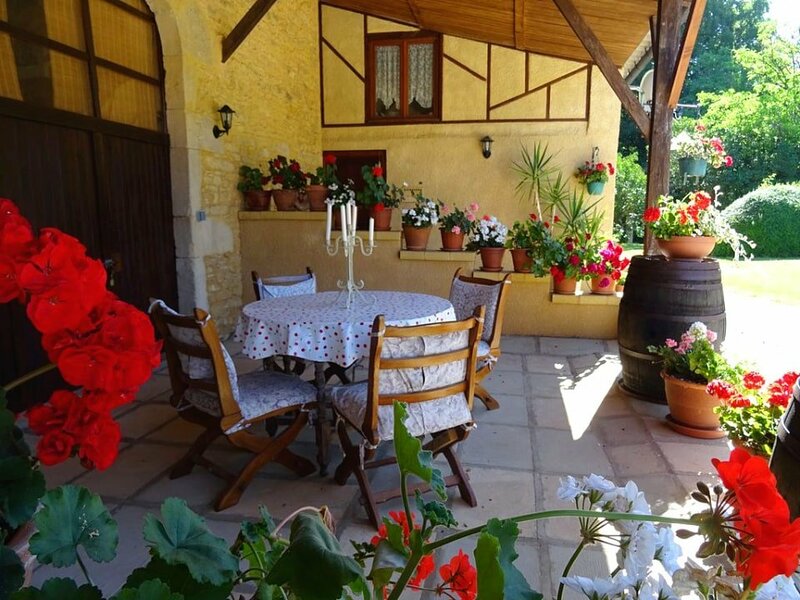 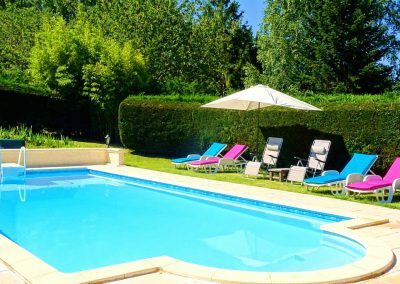 Each gite has its own private, enclosed pool and numerous places to sit or lounge or wander in the gardens. 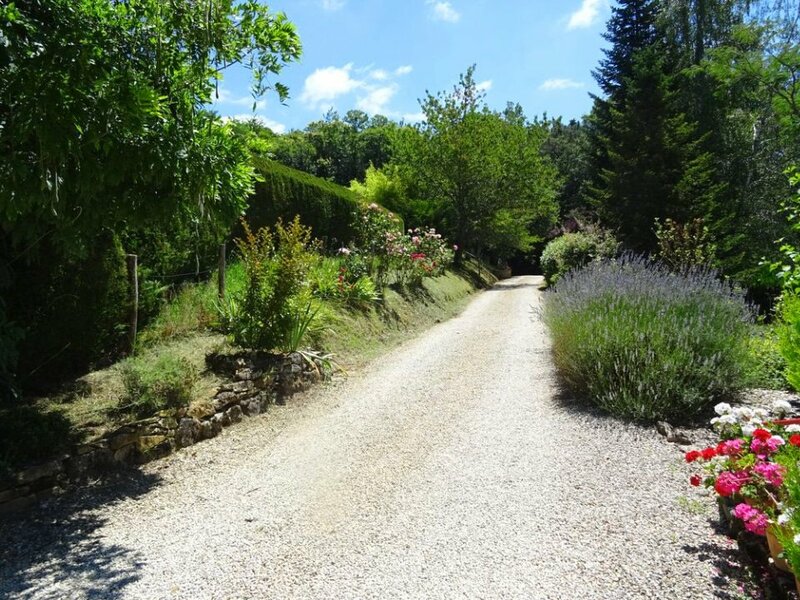 The properties are approached up a pretty, tree-lined driveway into mature, secluded gardens. 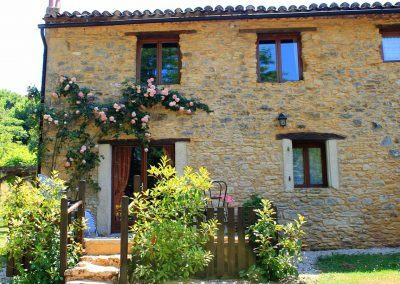 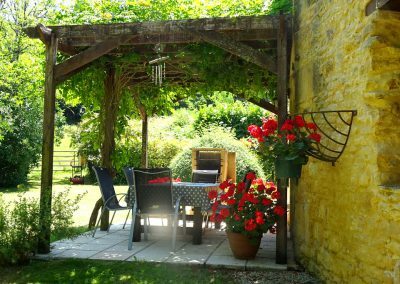 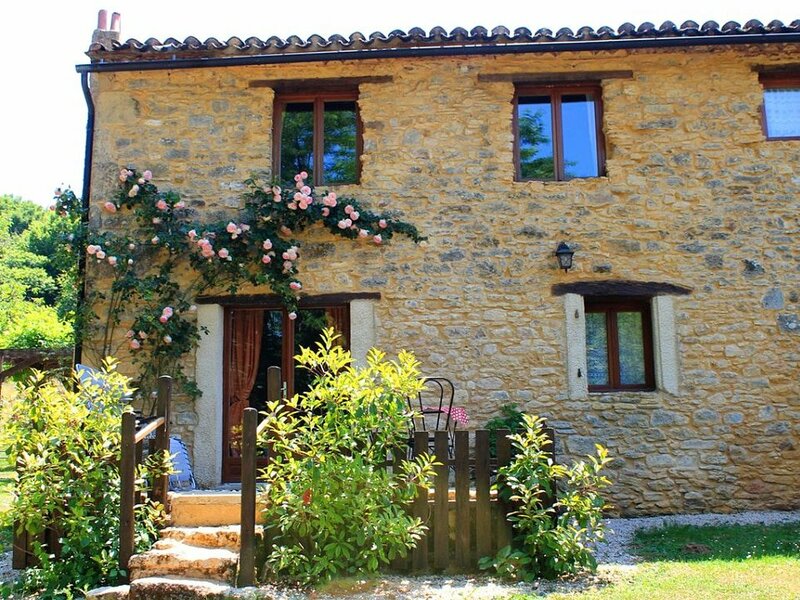 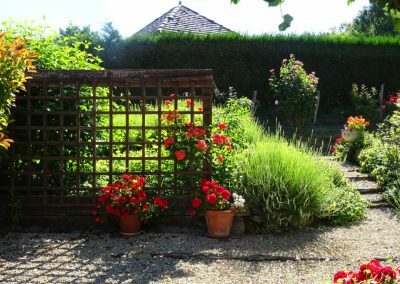 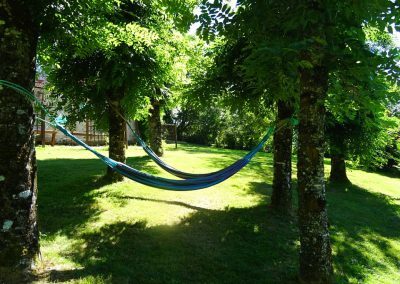 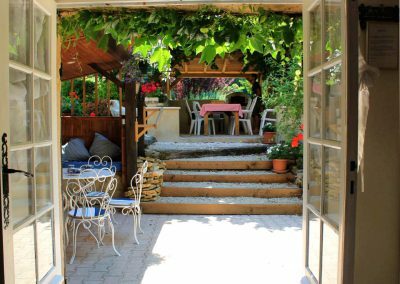 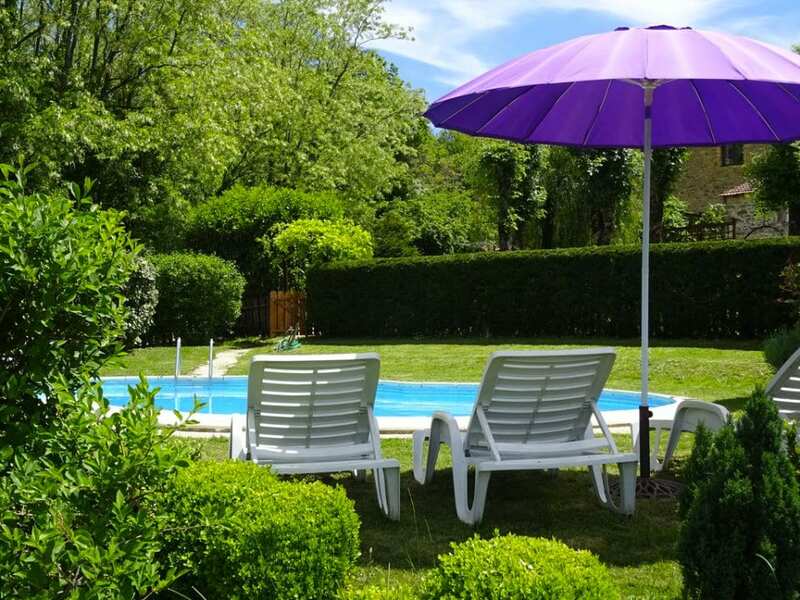 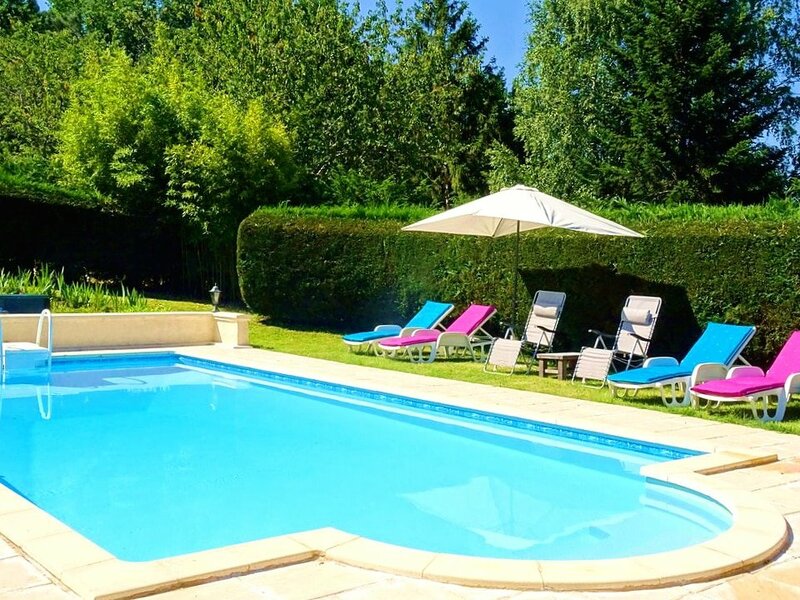 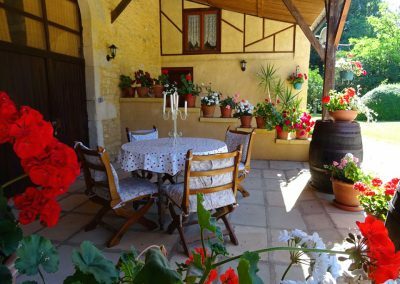 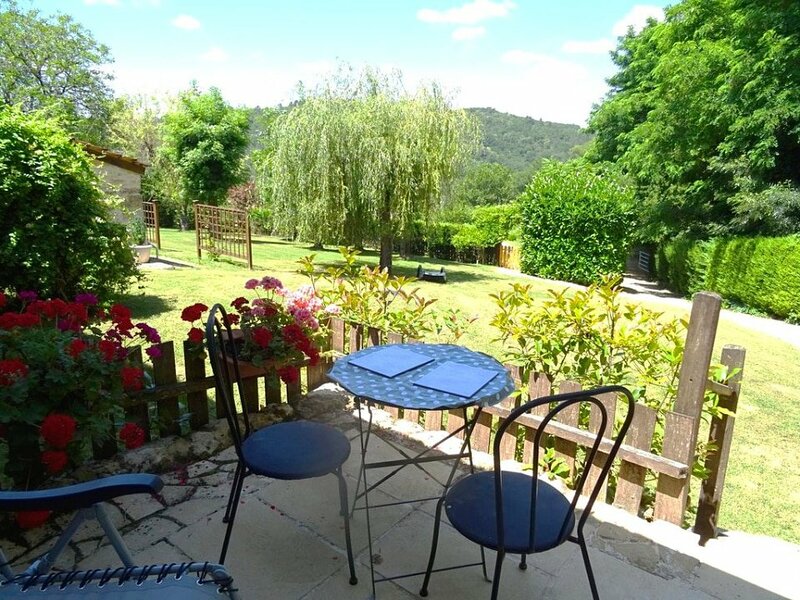 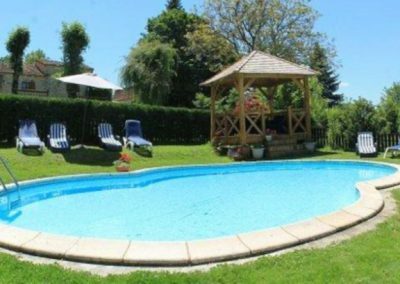 Each gite has its own private, enclosed pool and numerous places to enjoy the sunshine or shade or wander in the gardens. 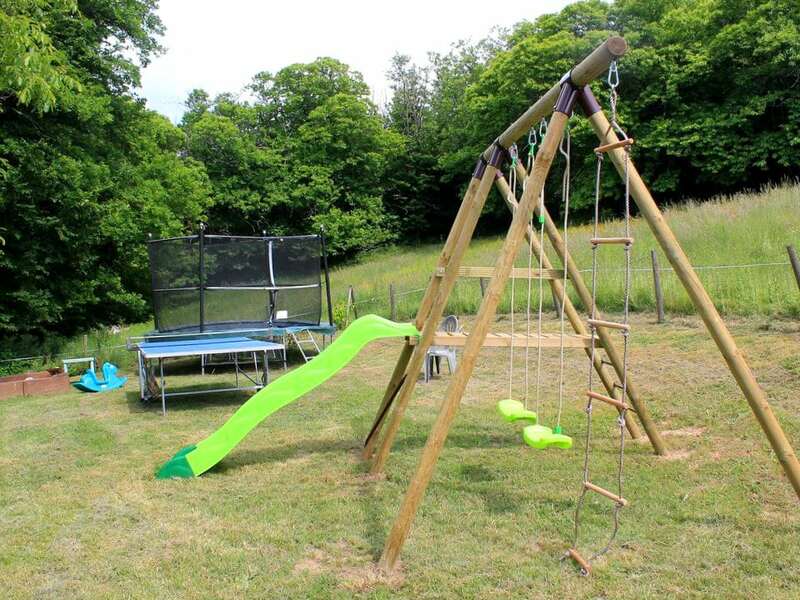 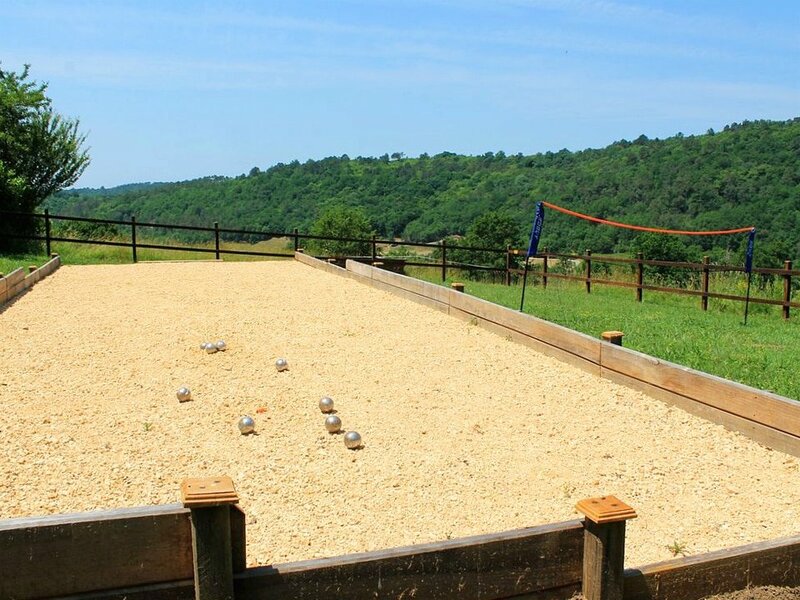 All guests have use of the children’s play area, which has swings, slide, trampoline, table tennis, badminton and boules. 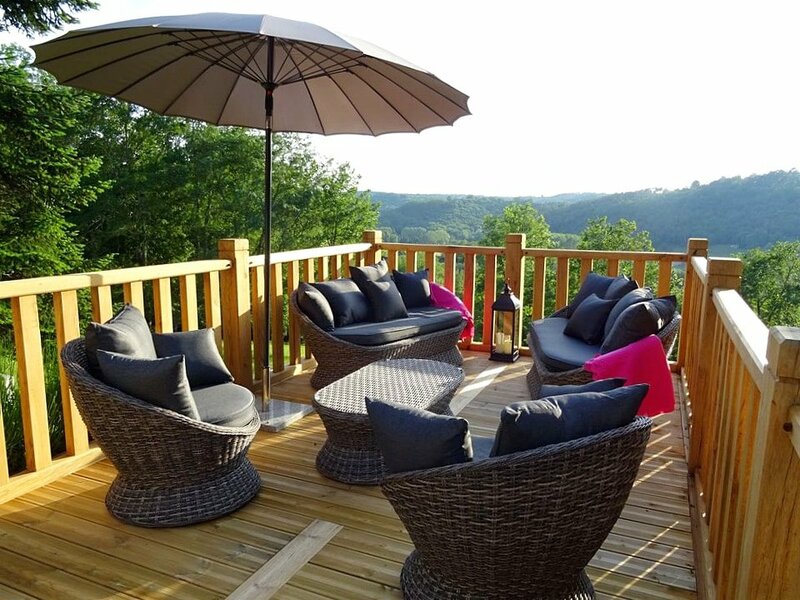 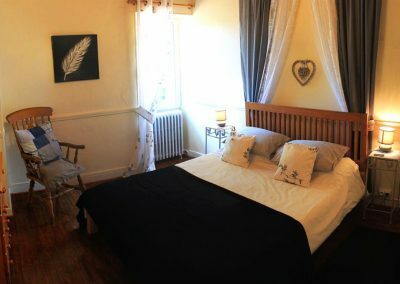 The master bedroom has a king-size bed, en-suite bathroom, double wardrobes, dressing table and a fabulous view of the valley and of the raised terrace below. 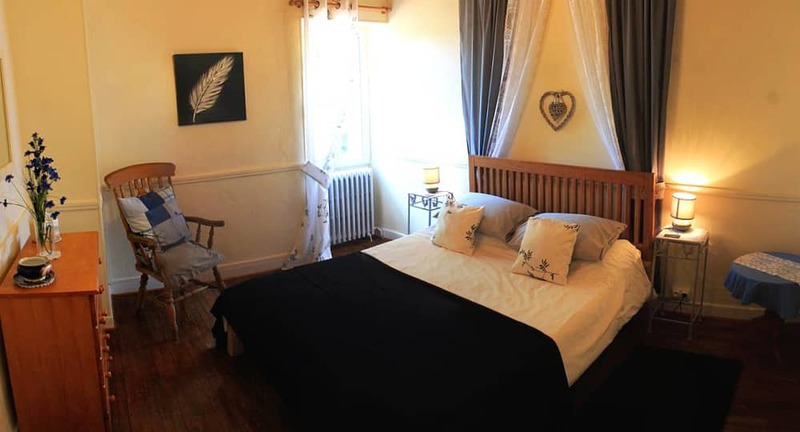 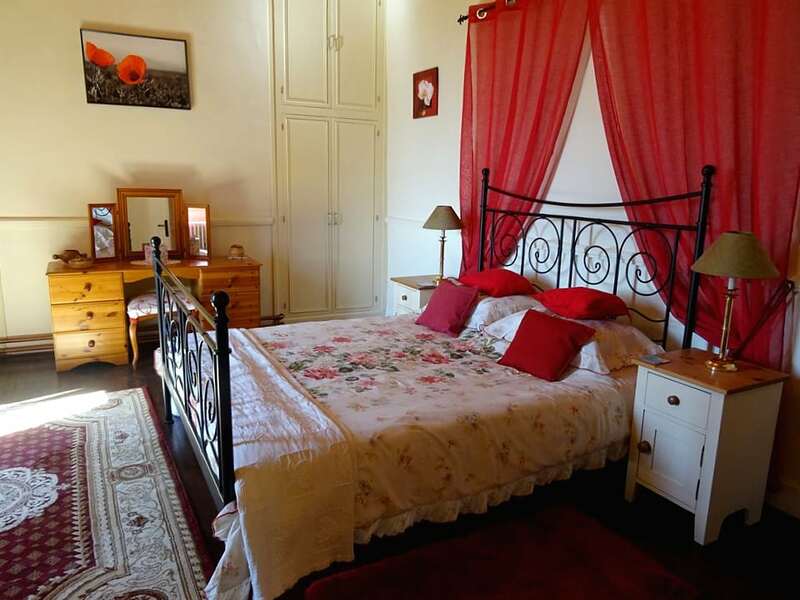 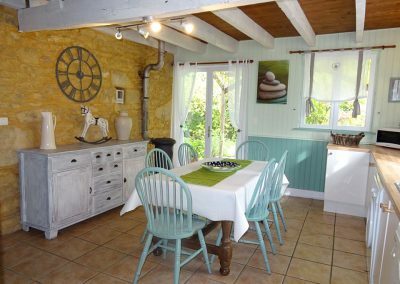 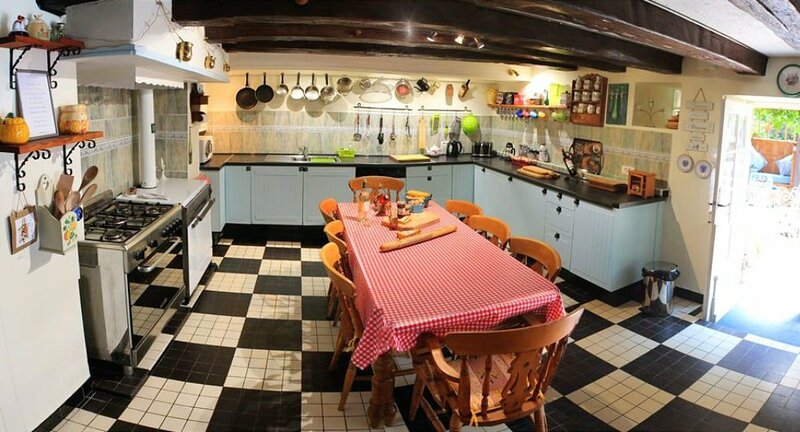 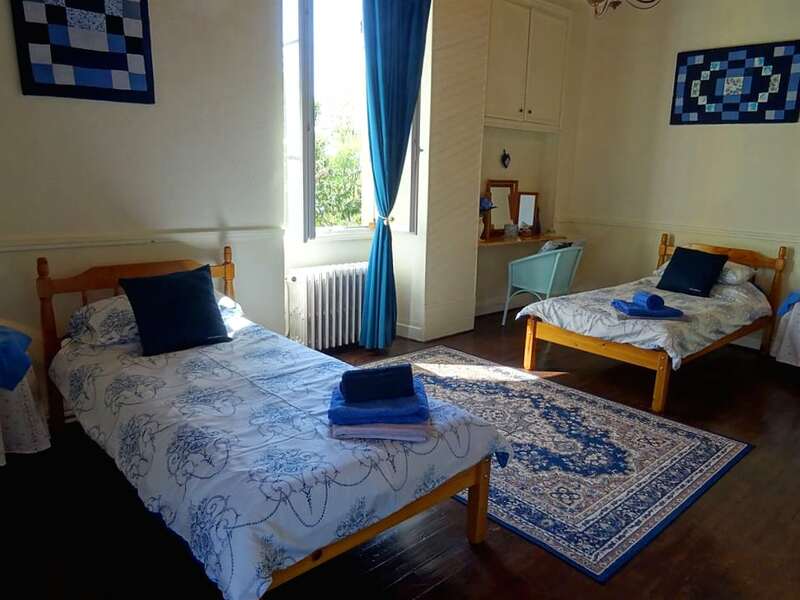 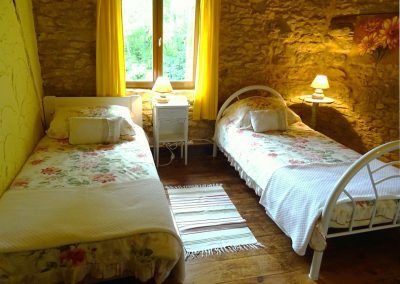 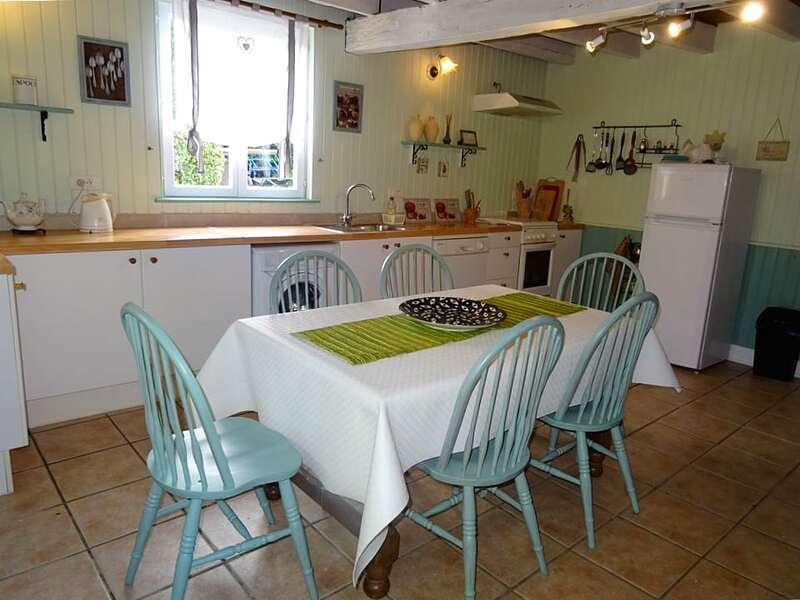 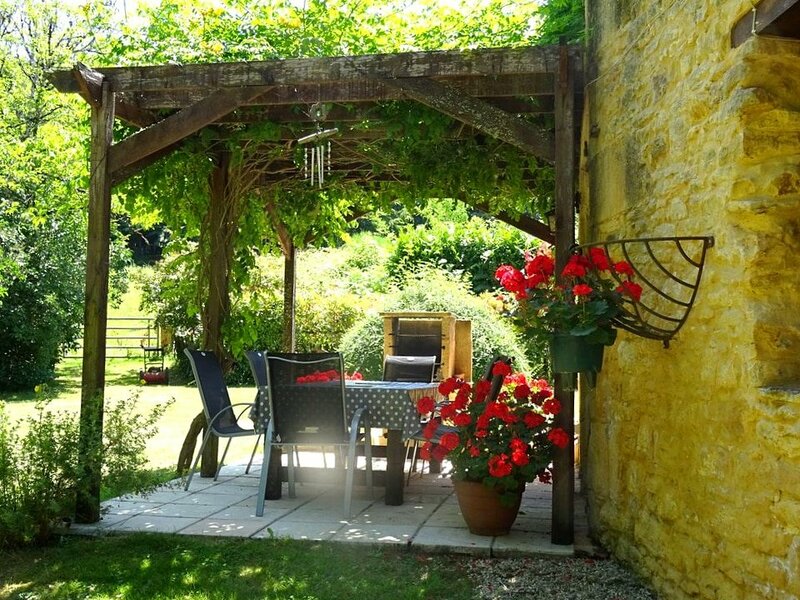 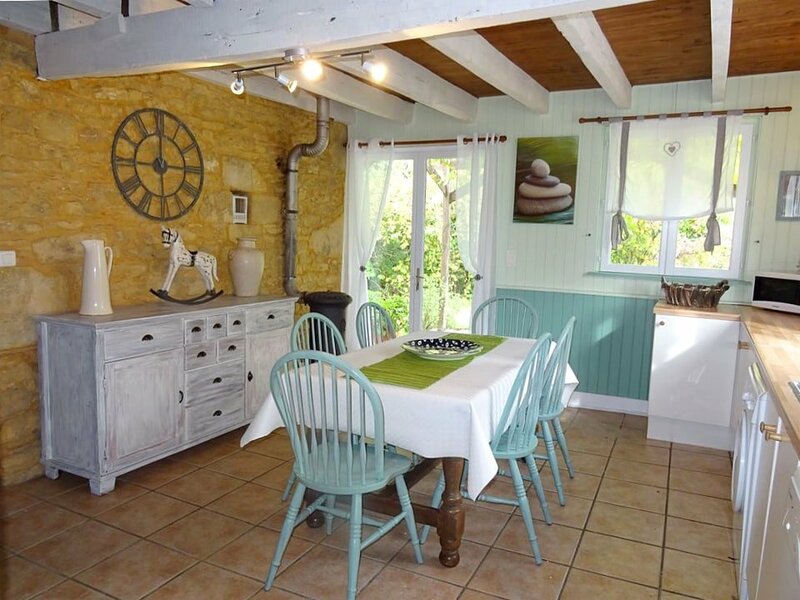 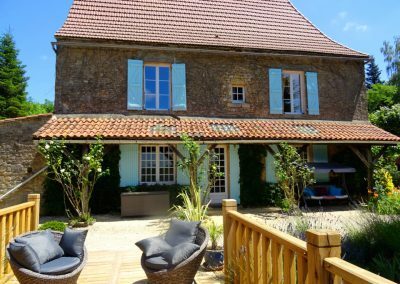 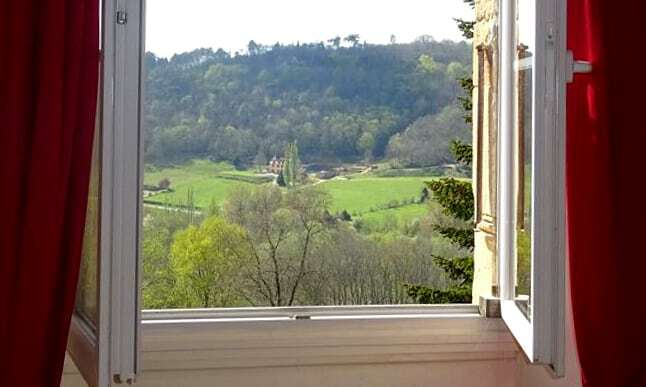 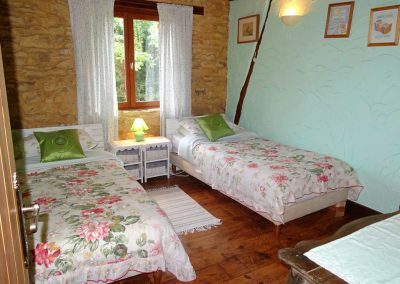 A further double bedroom with a relaxed French feel about it overlooks the orchard. 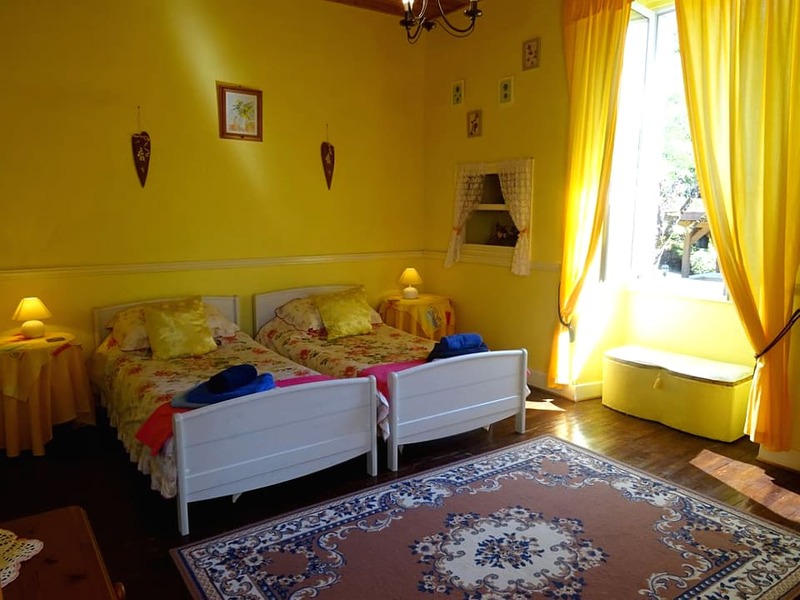 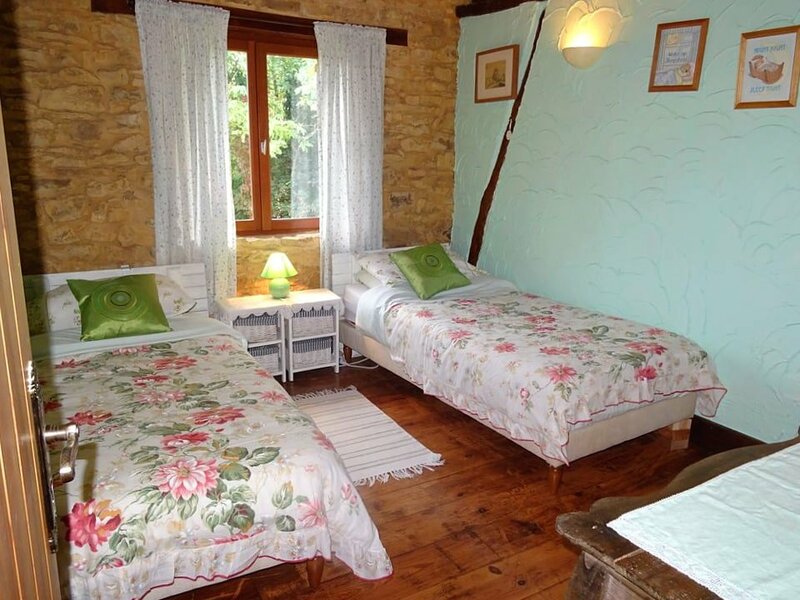 There are two bright twin bedrooms with open views of the gardens and the rural beauty beyond. 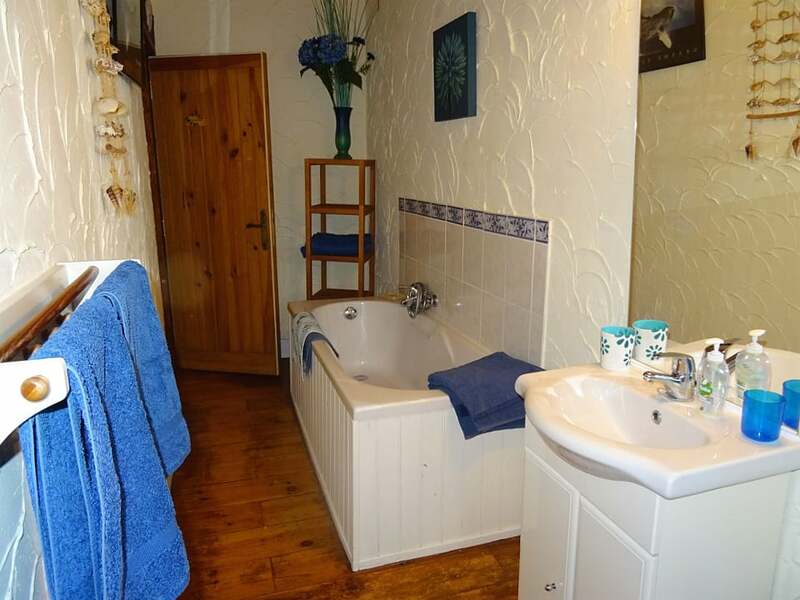 These are served by a separate shower room upstairs and a downstairs bathroom with a corner bath and double wash basins. 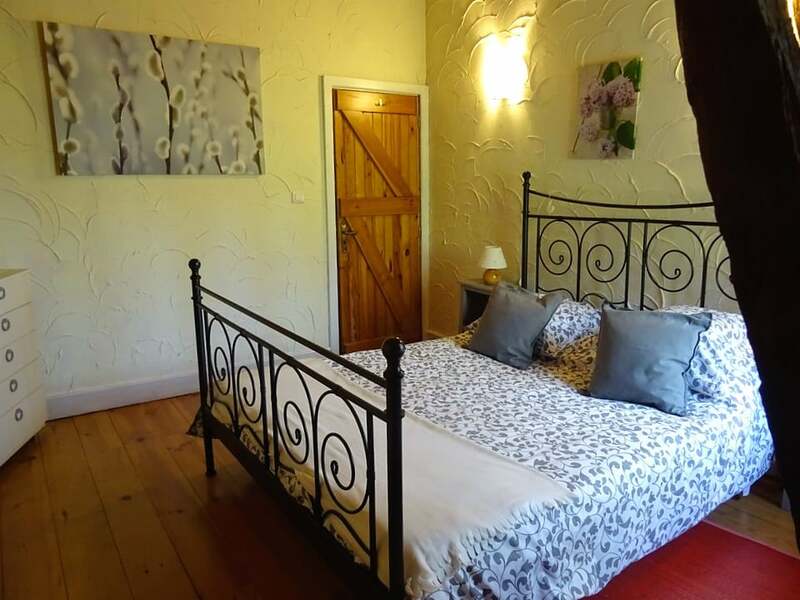 The double bedroom has a king size bed, double wardrobes and looks out onto the hazelnut trees which are visited by a family of red squirrels. 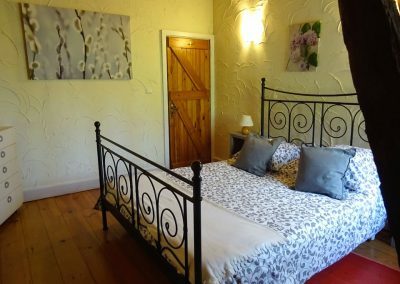 The two twin-bedded rooms (cot available), are bright and airy with high ceilings, and look out over the weeping willows and swimming pool. 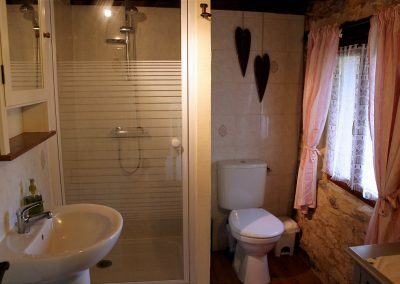 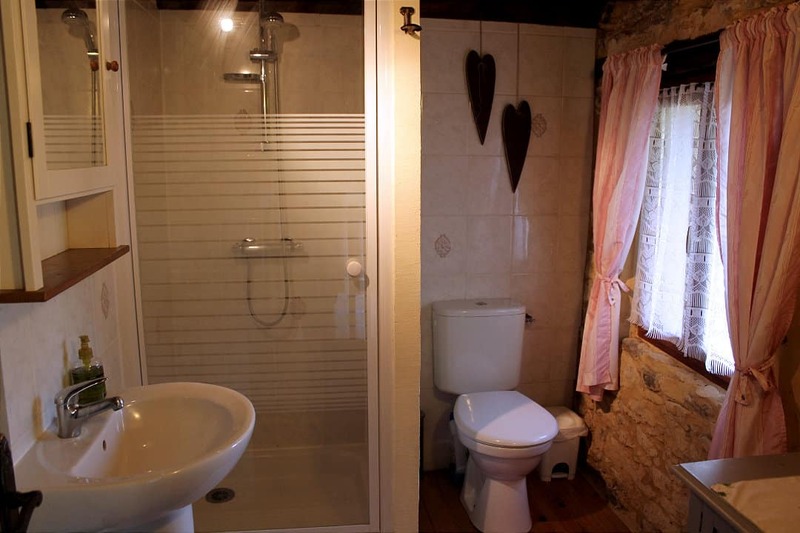 Upstairs bathroom with bath, washbasin and wc and a separate shower room downstairs with shower, washbasin and wc.